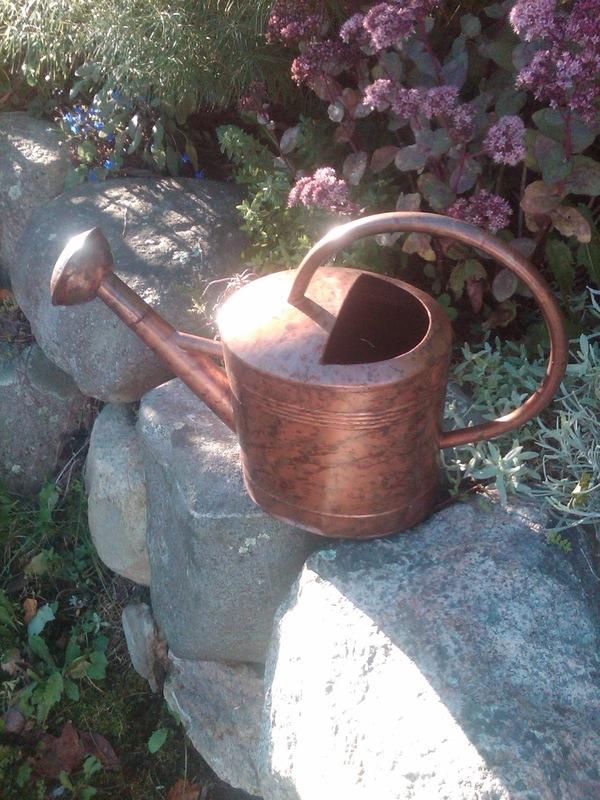 Here it is the last of the summer days and my trusty watering can is soon to be stored away. So what’s the topic for these in-between days? There’s an interesting read I just delved into called ‘The Mobile Wave. How Mobile Intelligence will Change Everything’ by Michael Saylor. Although briefly into its beginning chapters, on the back of the book there’s a quick list of perspectives that grab the reader’s attention. Here’s one that may interest some of you. “Cars, homes, fruit, art, and more will be “tagged” so they can you tell you about themselves.” So while an app telling me more about the fruit we eat is appealing, I wonder about the farmer growing the fruit. While I expect mobile intelligence shifts to bombard us and change the way we live, I shall keep the trusty watering can nearby and continue to promote locally grown, produce your own and always keep yourself surrounded with a beautifully designed space. On that note, Aldous Huxley provides the quote for this day. “There’s only one corner of the universe you can be certain of improving and that’s your own self.” Never lose touch with creating your own wave! Thank you, Carol for yesterday’s wonderful feedback and for your loyal readership.